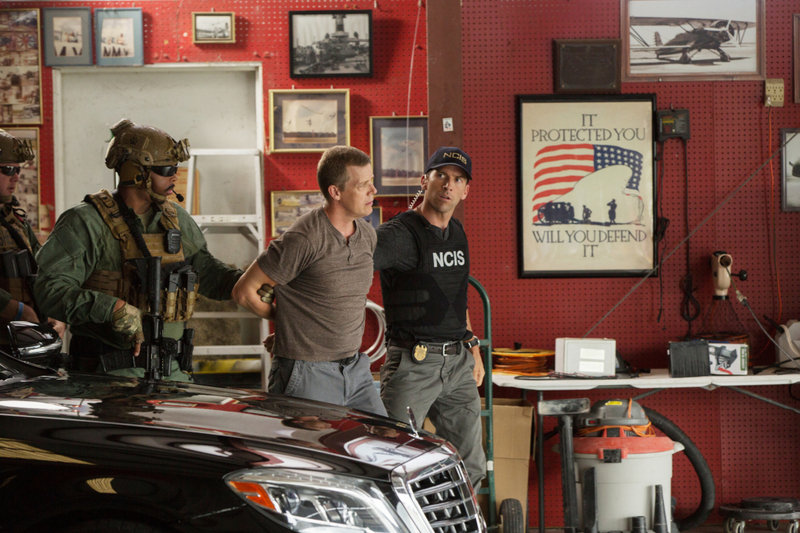 Preview images, spoilers and guest cast for the NCIS: New Orleans episode "Inside Out"
As the team searches for a former IRA bomb-maker who was smuggled into the city, they are joined by Special Agent Hannah Khoury (Necar Zadegan), Pride’s replacement during his medical leave. Also, Pride considers a new position with the agency, on NCIS: NEW ORLEANS, Tuesday, Oct. 2 (10:00-11:00 PM, ET/PT) on the CBS Television Network. Shanley Caswell guest stars as Laurel Pride. NCIS: New Orleans stars Scott Bakula (Special Agent Dwayne Pride), Lucas Black (Special Agent Christopher Lasalle), Vanessa Ferlito (Special Agent Tammy Gregorio), Necar Zadegan (Special Agent Hannah Khoury), Rob Kerkovich (Forensic Agent Sebastian Lund), Daryl “Chill” Mitchell (Investigative Computer Specialist Patton Plame), and CCH Pounder (Dr. Loretta Wade). Guest stars appearing in the “Inside Out” episode include Carlos Gomez (Deputy Director Dan Sanchez), Tim Griffin (Smith), Shanley Caswell (Laurel Pride), Erik Schultz (Commando #3), Kevin Reid (Commando #4), Mike Seal (Commando #2), Sammy Nagi Njuguna (Van Driver), and Stephen Walker (Civilian Captain).